The World Bank and the European Union on Sunday signed an agreement with Iraq worth 15.6 million euros aimed at strengthening oversight institutions and increasing public resource management activities in Iraq. 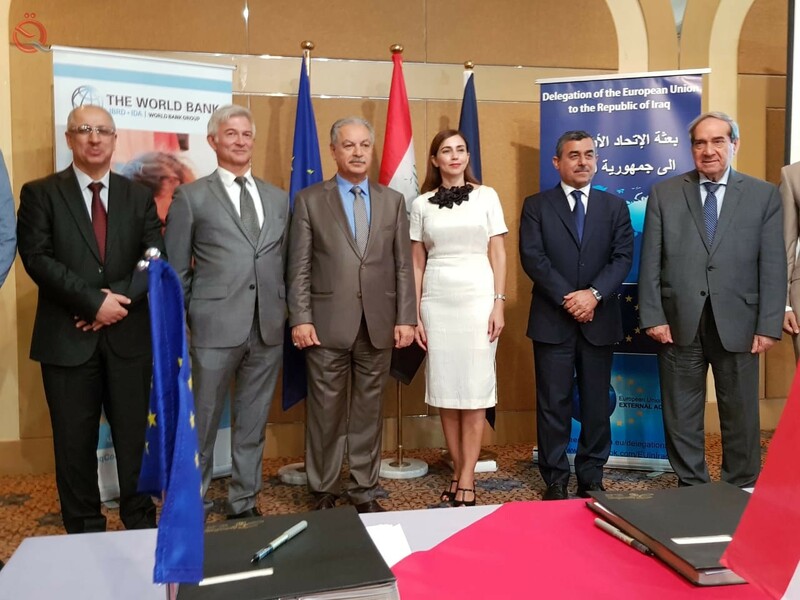 In a joint statement issued by the World Bank and the European Union, the Economist News said that they signed today a "technical assistance program agreement of 15.6 million euros aimed at strengthening the institutions of control and accounting of public finance management in Iraq and increasing the effectiveness of public resources management and service delivery." "This initiative, which will be implemented jointly by the World Bank and the European Union, comes to complement the € 41.5 million fiscal management reform program launched by the World Bank in 2017. It also targets the key weaknesses of the PFM system and supports special commitments and objectives To reform this system, which is under implementation. "